The world’s largest antique and vintage motorcycle auction convenes today in Las Vegas, as the first gavels fall on the 26th annual Mecum Las Vegas Motorcycle Auction. The four-day sale is likely to be a record-setter. Last year’s three-day Mecum event, which saw an 80% sell-through rate on the 646 bikes offered, generated $9 million in total sales. This year’s offerings total more than 1,000 bikes. The event will be held at the South Point Arena, part of the South Point Hotel Casino property. Among the motorcycles offered for sale are select Italian machines from the collection of celebrity photographer Guy Webster, five owned by former motocross champion Gerrit Wolsink, and six bikes that were once owned by iconic actor-rider Steve McQueen. Also up for grabs are antique Harley-Davidsons, Indians, Thors, Popes and Hendersons from the LaQuay collection of Cleveland, and two dozen bikes from the Buddy Stubbs collection. One could be a record-setter. Ron Christenson, president of motorcycles for Mecum, said a 1912 Henderson to be sold Saturday could reach between $500,000 and $1 million. Last year’s top bike was also a 1912 Henderson. Competing auction house Bonhams will hold a concurrent event at the Rio Hotel and Casino on Thursday only. 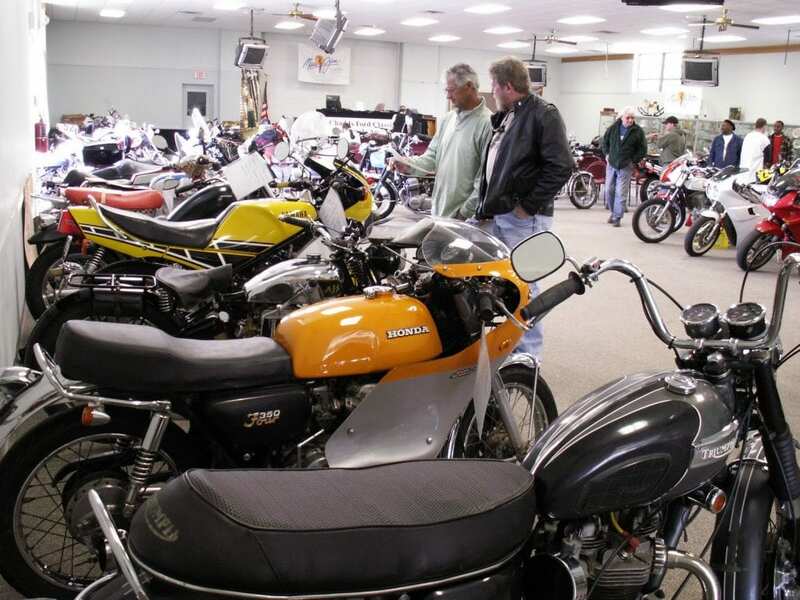 Offered for sale will be 345 lots of highly collectible motorcycles and motorcycle-themed artworks. Two of Webster’s Ducatis will be offered and two motorcycles owned by actor Ewan McGregor. A live stream of the Mecum auction is available online at Mecum.com.